Patch 1.0.2.1 will it be upload here? 1.0.2.1 hotfix would be very welcome. If I downloaded the earlier file will I have to download the 5GB+ file for the DLCs? No worries. Thanks for the prompt reply! Does this include Ashes of Malmouth dlc? Is the 5.18GB file updated to version 1.0.6.1 ? I just realise the above download (518GB) is of version 1.0.2.0 which was released in October 2017 and a lot in the game has changed since then. The current version is 1.0.6.1 released on 21st May 2018. I tried updating the game with the dodgy patch “2.1.0.6” (3.02MB) found under the “More Info” tab but the patch file could not recognise the 518GB game version 1.0.2.0 and thus fail to patch up. What is the all DLCs copies game version? 1.0.6.1? how do you install the game? sorry noob here..
do you mean the 2.88GB pack? cause i downloaded the 5.18GB pack already and installed it but im stuck with black screen then a few sec its not responding and closes the APP. 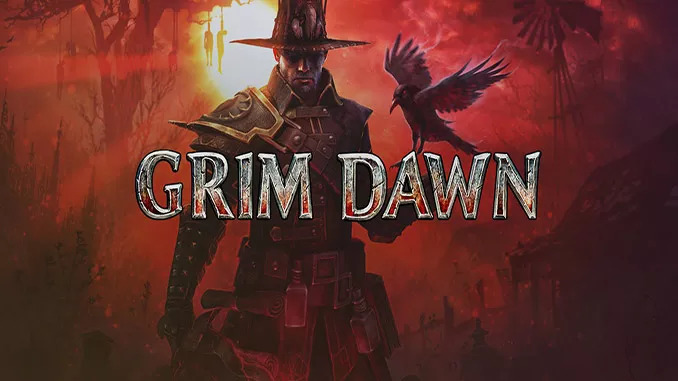 If you downloaded the “Grim Dawn (All DLC) (GOG)” you do not need to download the other link. Install the setup_grim_dawn_1.0.2.0_(15581).exe first and then the other .exe files included in the folder. Chief done DL and stalling all DLC and been playing for an hour now, but been experiencing disconnection on with the game. What do you mean disconnection? are you connecting online? When entering dungeons or returning to town the game just freezes “not playing online”. Also changing game type from single player to crucible or vice versa also crashing the game. It happens when i get on the portal going back to town or just going somewhere. Admin – i only play offline and about the disconnection below are the instances that occur the disconnections. – changing game type from crucible to main campaign or vice versa. – using portals also trigger the disconnection. – sometimes when playing campaign mode it will just disconnect all of a sudden. FYI – all setting are low or off. with no problem at all. Please make sure you meet the GPU/graphic card not sure if this will work on integrated graphic cards. i had a question.. i bought a used computer from a friend.. he downloaded grim dawn from here.. i can play the game and love it.. but i read that there are hot fixes? for issues in the game… i ran across one where i need a fix for the chill pincer bounty to work… i am on that bounty now.. also read there are other hot fixes for a few other items including another bounty in the game… where do i get the hot fixes or patches?? sorry am new to all this type of things … patches and fixes and computer stuff.. if i need to redownload the game here and stuff how do i save my characters and progress?? thank you for your time and all your efforts!! Does it work on lan? Just heard ’bout this game. Downloaded now ! Hope to hell it works on my laptop ! Thank you ! links are broken or something ? doesnt seem to happen anything after clicking the second link. when will Forgotten gods will come on this website? 🙂 thank you in advance! Hi, thanks for this. Can you please also upload the last expansion, Forgotten Gods? is it possible to use separate DLCs with legal copy from GOG? Does separate DLCs work with legal copy from GOG? When I try to install DLC it says that the versions are not compactible. Man, I’ve downloaded, installed and playied the Grim Dawn (2.88GB) version. But only now I’ve realized that theres is no DLC on it. So now, I’m downloading the ALL DLC version. My question is, can I start to play this version without loosing all my progression? Can you please also upload the last expansion, Forgotten Gods?